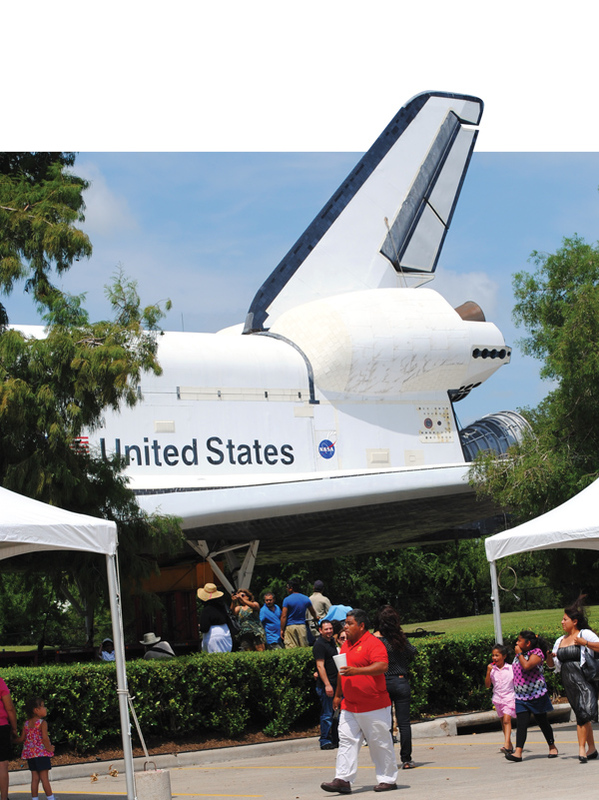 The Bay Area’s space shuttle is sitting over at Space Center Houston, waiting for the next step in its career – getting all spruced up and opened to the public. Space Center Houston President Richard Allen talked about what lies ahead when he recently addressed the Clear Lake Area Chamber, explaining how visitors will be able to climb up in the shuttle replica and even be able to see the cargo bay that was used to supply the International Space Station. “To make all this happen, we’re in a campaign right now to raise $3 million. To date, we’ve got about $1.3 million and we’re currently trying to raise the other $1.7 million so we can build the rampway and really spruce it up in the cockpit and mid-deck,” he said. The facility improvements will house new exhibits and also include a dedicated plaza. In essence, Allen hopes to tell the story of the Johnson Space Center’s role in the shuttle program – the planning, training and flight control. In essence, the public will have much greater access to the shuttle replica than a shuttle that has flown in space. Visitors will be able to enter the flight deck, the mid deck and the cargo bay; an up-close-and-personal experience of this remarkable spacecraft. Anyone who would like to contribute to the campaign may do so by visiting the Space Center Houston website, spacecenter.org and click on donations at the bottom. The full scale, high-fidelity replica of the space shuttle arrived by barge at the space agency’s dock by the Hilton before a crowd of thousands on June 1 and was subsequently transferred down NASA Parkway to Space Center Houston after traveling across the Gulf of Mexico from Kennedy Space Center.